Peter has a breadth and depth of experience and expertise in the field of VAT unsurpassed at the junior bar. He is regularly instructed by accountants and solicitors to advise clients in many sectors, and is entrusted by HMRC with advice and litigation in complex high value cases. Peter has helped private clients successfully address a wide range of VAT issues, from Assessments to Zero-rating and “Earns praise for his effective client manner in VAT cases” and “expertise in EU law” (Chambers UK). 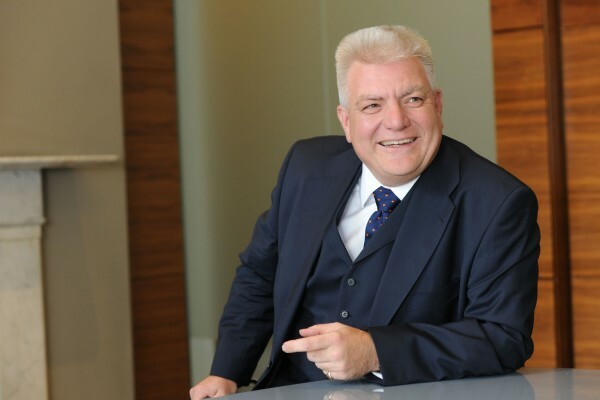 Peter has recently acted for clients in the charities, education, insurance and financial services sectors, amongst others. Peter has litigated over 80 important VAT cases (reported in Simon’s Tax Cases). He also has many successful appearances in the specialist tax tribunals and experience in Upper Tribunal, Court of Appeal and the European Court of Justice. He has earned “a strong reputation” through his frequent involvement in significant VAT cases (Chambers UK). In 2017 Peter was part of the HMRC counsel team which won the Littlewoods multi-billion pound compound interest litigation in the Supreme Court, the only counsel to represent HMRC in every court throughout the litigation. He acted in the first VAT Group litigation in both the High Court and Court of Appeal. Peter brings skills originally acquired across a broad range of civil litigation and honed in the tax field, including valuable insights gained from representing both private clients and HMRC. His tax practice includes tax judicial reviews, human rights based claims, excise duty and other indirect taxes and direct tax. Peter is frequently instructed in tax litigation. He also advises clients on solutions to a variety of indirect tax issues and in connection with disputes with HMRC. Peter initially made his name by representing HMRC and still regularly appears for them as a government A panelist. He was counsel to HMRC in the first VAT Group Litigation. Peter now regularly receives instructions on behalf of taxpayers, both to advise and in relation to disputes, including from top 10 accountancy firms. He is often instructed to appear against the leading VAT silks achieving a number of notable victories. He recently won for Southern Cross Employment Agency, successfully challenging a recovery assessment made by HMRC, on the grounds that the original claim had been validly compromised. Peter has worked for his clients, amongst other areas, on assessments, exemptions, input tax deduction and partial exemption, single/multiple supplies, claims for overpaid tax (including time-limits, unjust enrichment and interest), penalties, place of supply, registration, security requirements, unfair treatment of taxpayers, zero-rating, and avoidance. He has advised and handled disputes in cases across sectors such as construction, education, energy, health, financial services, food, land and property, health care, labour providers, publishing, retailing, transport, travel agents and holidays, telecommunications and internet services, and welfare services. He is often instructed in matters involving new or difficult points of law, arising out of the EU VAT Directives or construction of UK legislation. He also has acumen advising on more everyday situations and problems. He regularly represents clients in VAT cases in the specialist tax tribunal, where he brings to bear great his specialist experience and expertise, and skills cross-examining witnesses initially developed outside the tax area across a wide range of civil litigation. He is experienced in litigation involving questions of fact requiring the ability to handle extensive evidence (documents and witnesses). Peter is a regular advocate in cases which require further appeals to the Upper Tribunal and Court of Appeal, often in high value, legally complex cases. In addition Peter often represents clients in judicial reviews involving HMRC, including equal treatment cases and human rights cases. Civil actions against HMRC in the High Court, and some criminal defence work involving VAT, have also featured in Peter’s practice. He represents clients in the European Court of Justice. Peter benefits from insights based on his and Monckton’s wider appreciation of EU law and its general principles and he frequently handles complex EU points. Peter has experience in excise cases (including a 10 day excise hearing before the First-tier Tribunal, representing a duty guarantor, in 2010). He has advised on Insurance Premium Tax and appeared in IPT appeals. He has also dealt with stamp duty/SDRT. Peter has experience advising on consumer credit and related legislation and representing clients in civil actions and in some criminal proceedings under the 1974 Act. He has acted for major lenders, including HSBC and Nationwide, as well as a variety of smaller lenders and traders involved in consumer credit transactions. He has given advice in relation to terms of regulated agreements, including hire purchase, conditional sale and running account credit agreements, licensing (including representations to the OFT), advertising and quotations. In 2013 he represented the OFT in a major consumer credit licence revocation and money laundering penalty case involving payday lending (MCO Capital Ltd v OFT CCA/2012/0015). Peter has appeared and advised in a number of human rights cases, particularly, but not exclusively, in the indirect tax field. His experience includes issues in relation to “retrospective” time limits, alleged infringements of the right to property, requirements to pay tax demands before tribunal proceedings can be commenced, and matters relating to the right to a fair hearing, including standovers pending criminal proceedings and the initial challenges to the independence of VAT & Duties tribunal under Article 6. A number of cases outside the tax area include matters involving the protection of family businesses from local authority action.